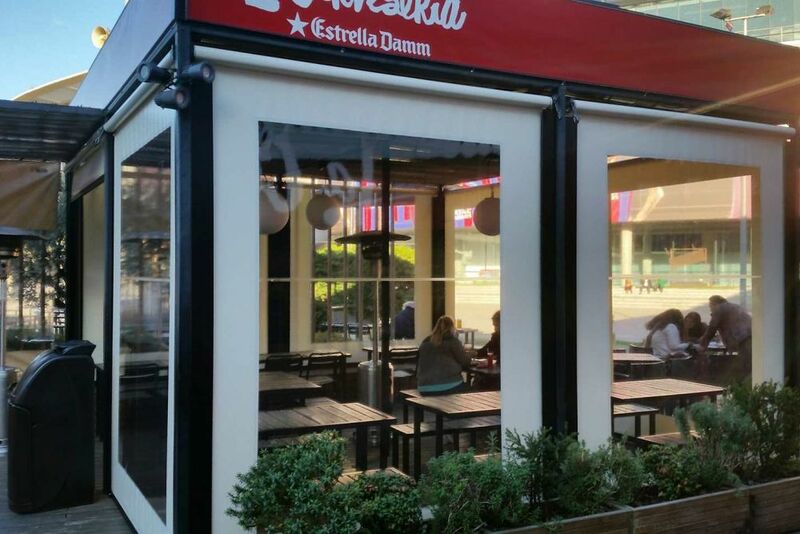 The Estrella Damm Beer Hall is located in the same grounds of Futbol Club Barcelona, Camp Nou. 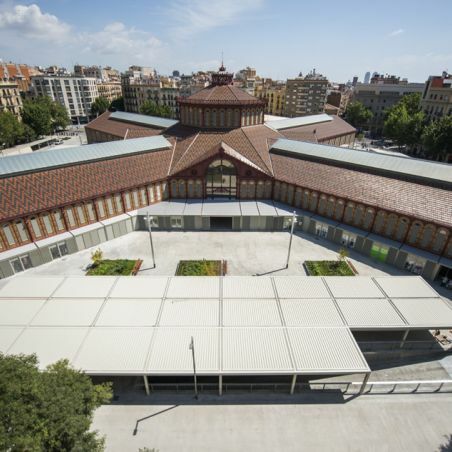 In 2013 this new place of leisure and relaxation was opened to captivate visitors. 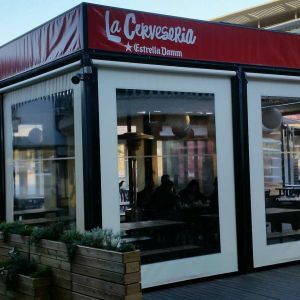 At this beer hall you can enjoy a casual meal or have a beer, a spectacular space of 190 m² with a terrace of 480 m². 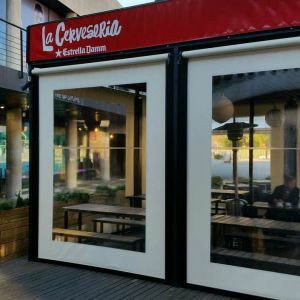 This beer hall is an innovative concept that modernizes the traditional beer hall model to adapt to local and international tastes and to promote the gastronomic culture of the country. 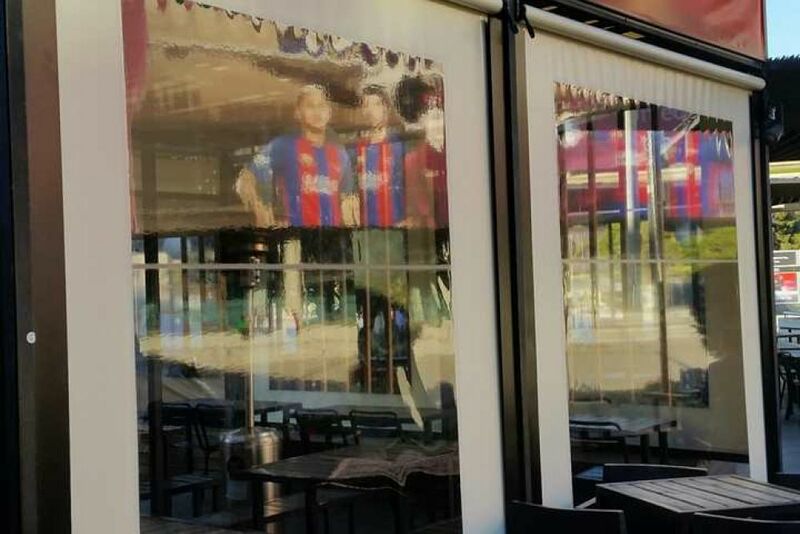 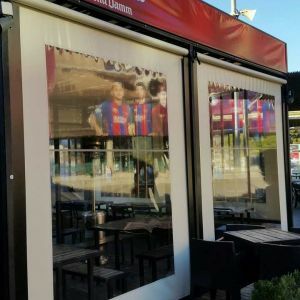 Its terrace is spectacular for eating and having a beer right in front of Camp Nou. 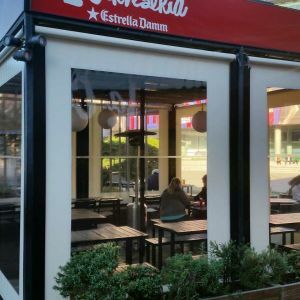 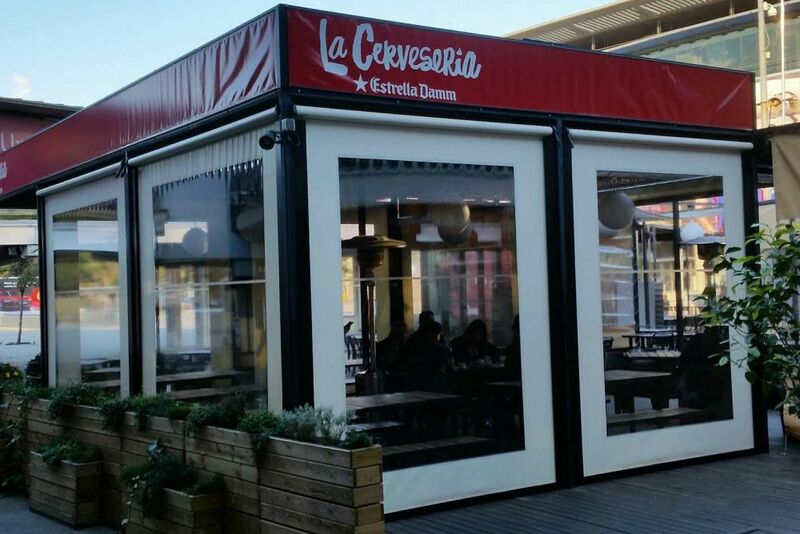 The project for the beer hall terrace was to install the Asgard model pergola completely closed with curtains, which covers much of the exterior of this business. 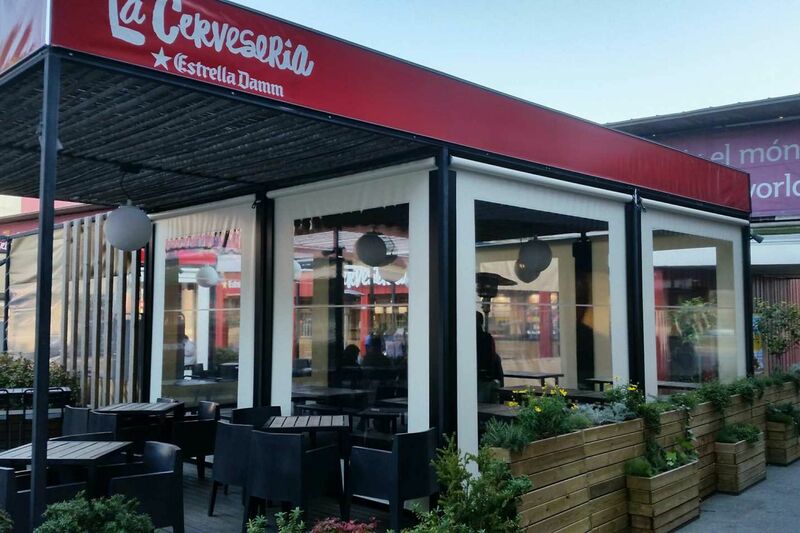 The Asgard pergola, measuring 6m x 5m with two gutters and 5.6m x 5m with two gutters, covers a total surface area of 58m². 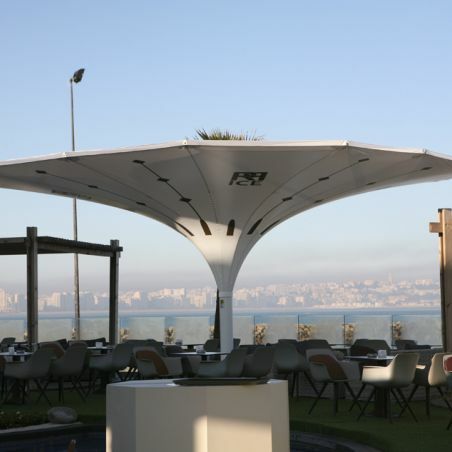 The fabric is vip fr ivory canvas and the black aluminium structure is RAL 9005. 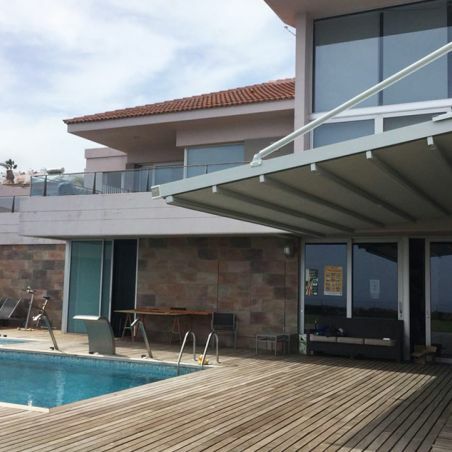 The Asgard model is ideal for this project because it was installed on the existing structure that the client already had. 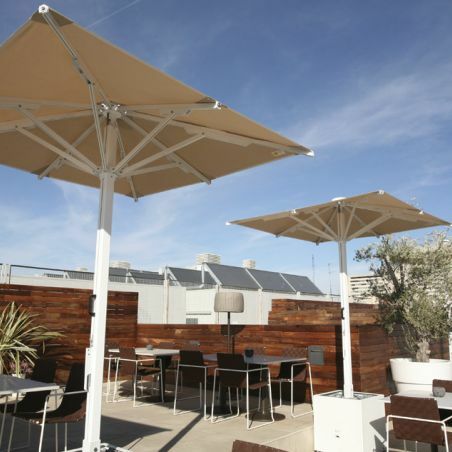 With a completely motorized pergola opening and closing system. 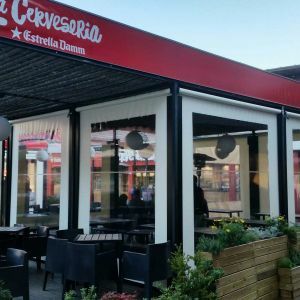 In order to take advantage of this space throughout the 365 days of the year, a manual guiding screen was installed on the sides of the pergola. 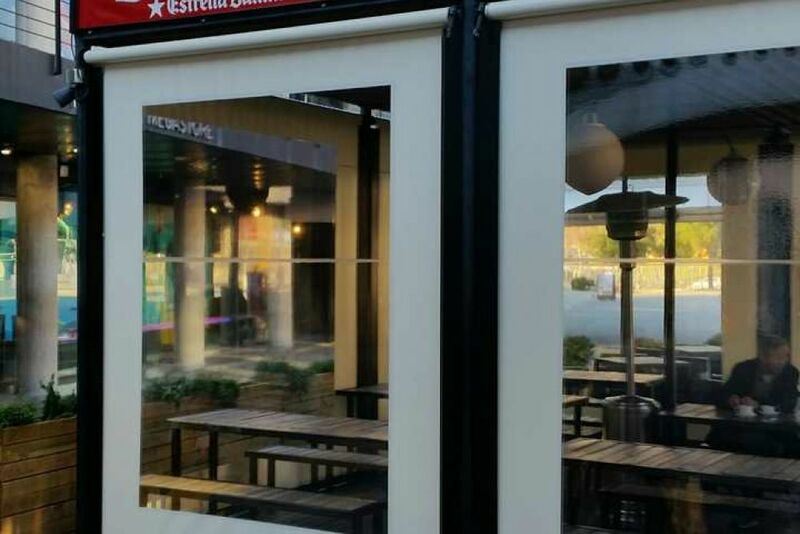 The fabric of the four curtains is ivory PVC with a PVC transparent window and is manually operated with a crank.